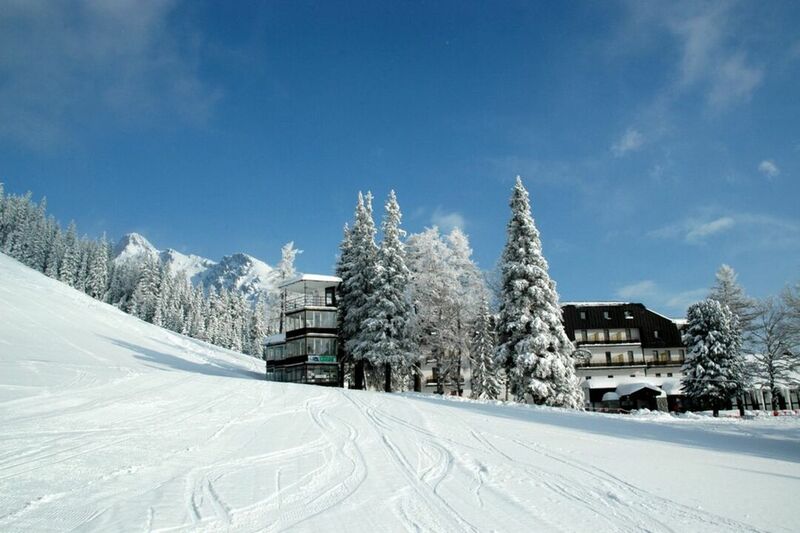 The Vysoké Tatry – Starý Smokovec is an ideal ski area for families with children and beginners. 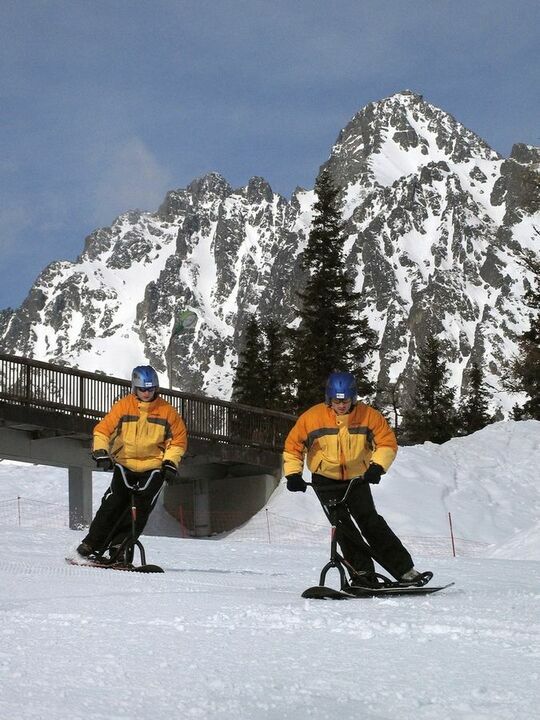 Day and night sledding from Hriebenok is among the best winter experiences in the Tatras. The ski area is concentrated in two locations: Jakubkova lúka and Hrebienok. Jakubkova lúka is perfect for beginner skiers thanks to its easy piste. Discounted ski passes valid exclusively at this ski area are offered, which is appreciated by casual skiers and complete beginners. Snowmaking ensures guaranteed snow conditions. Hrebienok, a favourite spot for winter hiking to the Studený potok waterfall or alpine chalets, has also become known for the Tatry Ice Master ice sculpting event and this year visitors will once again see the ice basilica – Tatranský dóm. A funicular railway travels up to Hrebienok from Starý Smokovec. 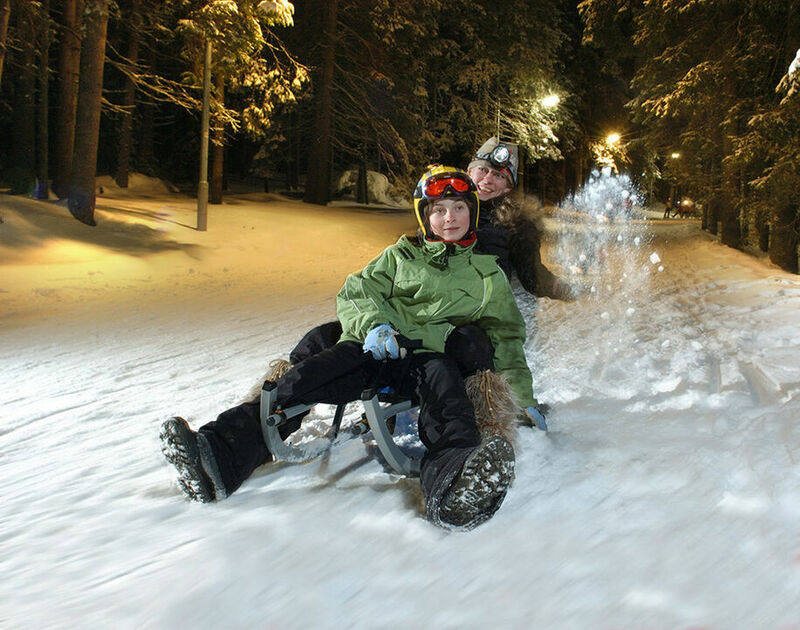 A popular attraction is the 2,500 m long sledding trail from Hrebienok to Starý Smokovec. The trail is illuminated for night sledding every Tuesday, Friday and Saturday. Unique nature, unconventional entertainment attractions, stunning views from the ridges of the Tatra Mountains and superior service are genuine reasons to spend your holiday in the Tatras. The area boasts 17 km of Nordic skiing trails. The trails are groomed for classical style skiing twice a week or after a fresh snowfall. Skipas Vysoké Tatry is valid at the Starý Smokovec, Štrbské Pleso and Tatranská Lomnica ski areas.